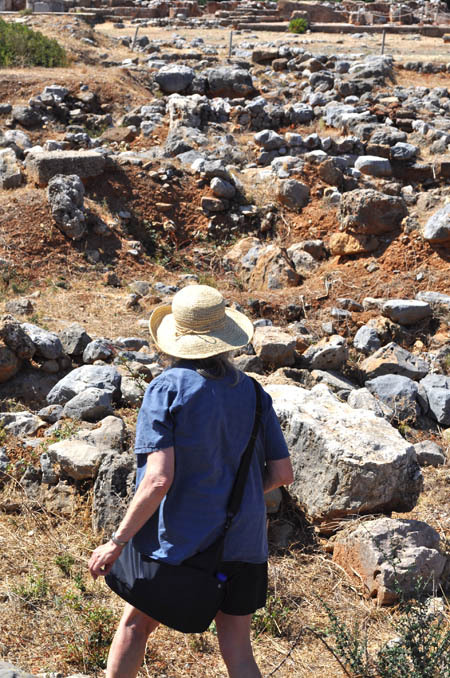 A road trip is needed to learn more about an ongoing excavation at Kefali Hill near the village of Sisi. It is not far away, so we set off in the morning to have a look. 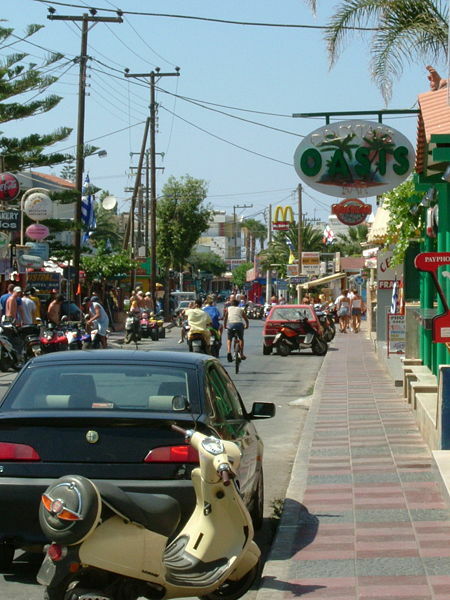 The only difficulty in the journey is surviving the traffic lunacy of Malia, a town where adolescent tourists run wild. On the other side of town it is a short drive to the Sisi-Milatos turnoff, and we have no trouble finding the coastal road to Kefali Hill. Sadly, although there are a few researchers at the excavation, the site is fenced and locked. 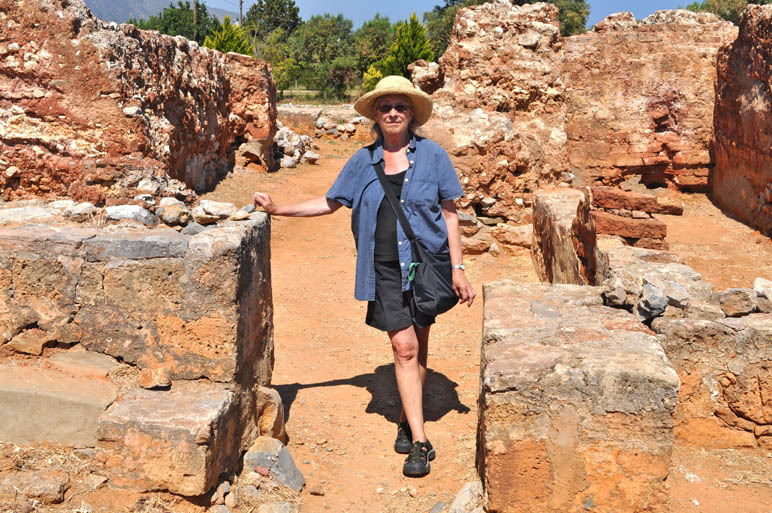 Because the Kefali settlement was associated with the great palace of Malia (only 2 kilometers away), we decide to go there instead. 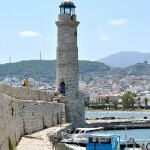 The palace was discovered in 1915 near Malia, and takes its name from the town. No one knows its original name. Suggestions include Setoija (mentioned in ancient tablets), Tarmaros, and Milatos (a place name that survives east of the palace). 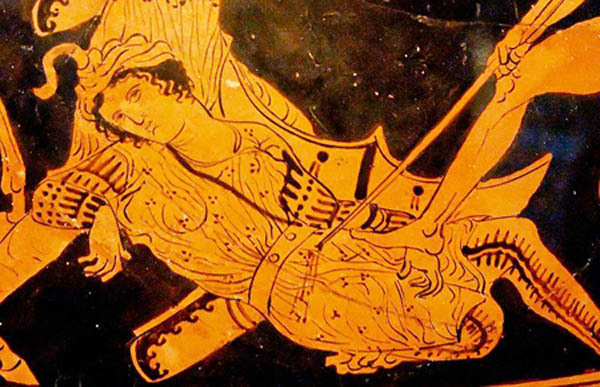 Mythology tells us Malia was ruled by Sarpidon (Sarpidonas), brother of Minos, king of all Crete. After he had a dispute with Minos and was exiled, Sarpidon fled to Asia and became king of Lycia (also called Lukka). Later, he was counted one of Troy’s greatest allies and a hero of the Trojan War. But myths are not facts. 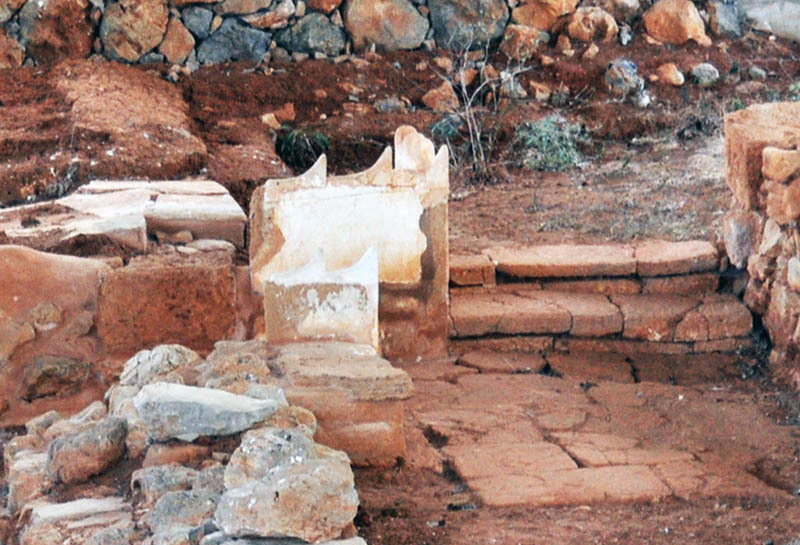 For example, Minoan culture was demolished by Greek invaders long before the Trojan War. 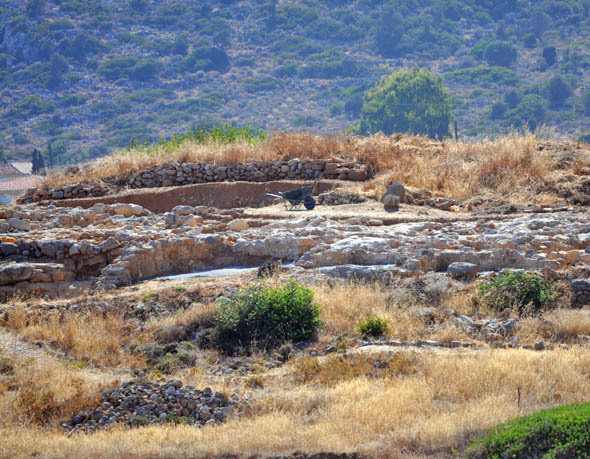 It is unlikely that Sarpidon was Minoan royalty – unless he was a descendant of those driven out by the Greeks. 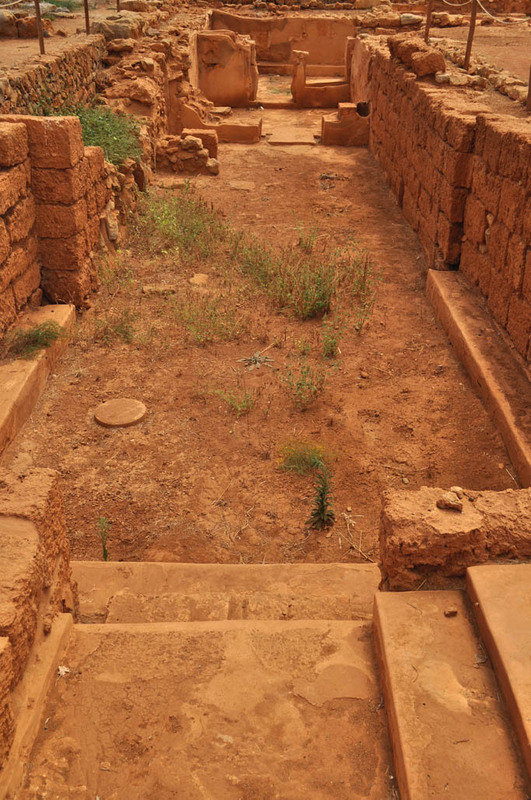 We find no new excavation activity in the palace itself (click here for a tour of the palace). 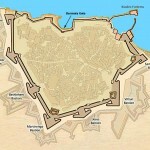 The only notable changes are in the town surrounding the palace. 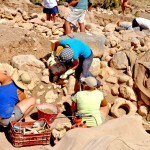 There has been some recent activity in the agora northwest of the main entrance. This is the ancient market square bordered by the homes and shops of townsfolk. Some older buildings have been revealed here. On the west side of the agora we also revisit the “hypostyle crypt,” a strange underground building with seating around the walls. 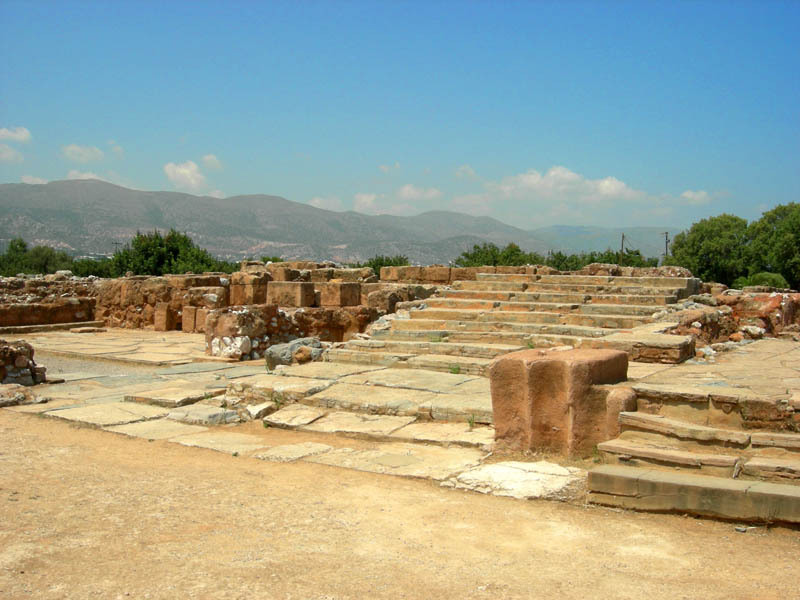 Its purpose is unknown, but some believe it is a vouleuterion (an assembly hall for a citizen council). However, this is a rather democratic view, since townsfolk probably had little political influence. 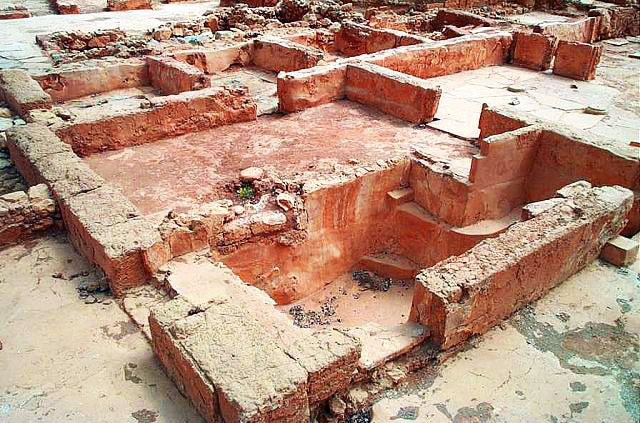 The building might also be an earlier royal building or perhaps a banquet hall. In addition to the palace areas set aside for religious purpose, there are some impressive religious sanctuaries in the surrounding town. In Mu Quarter, for example, is an impressive two-story structure (Building A) that went through two main phases of construction. Part of the building was erected with cut stone (ashlar) masonry of the type used in the palace, while mud brick was used in another area. Inside there is a small paved courtyard and walkways, which is very similar to the west side of the palace. 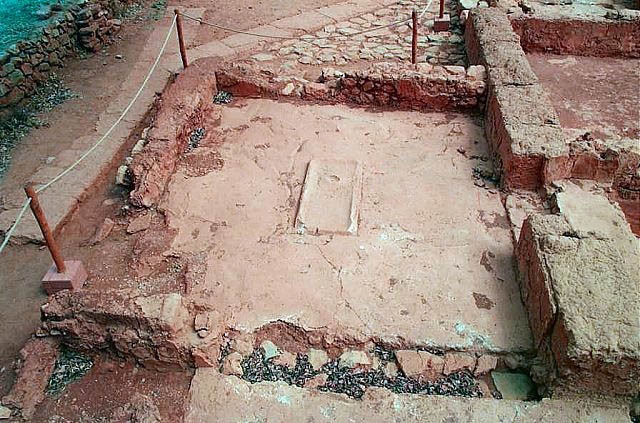 The rooms include a light well, waiting room, and a lustral basin, which is a sunken room thought to be used for ritual purification. The building also appears to have a religious sanctuary. There are other religious sanctuaries around the town. The most impressive is the Sanctuary of the Horns, south of Mu Quarter. We walk down the road and across a field to reach the building. 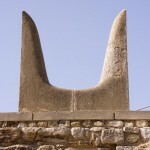 Close to an entrance staircase is an ashlar construction topped by single horns of consecration (a Minoan religious symbol), and a bench provided with such horns (although singular, rather than the usual double horns). On the wall of one room archaeologists found a fresco depicting a bucranium. 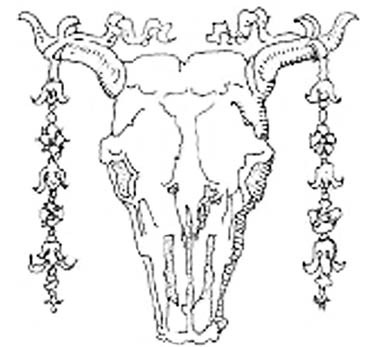 This is the image of an ox skull with garlands of flowers in its horns. It represents animal sacrifices made to the gods. 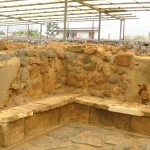 Two animal figurines and clay horns of consecration were found in the sanctuary. 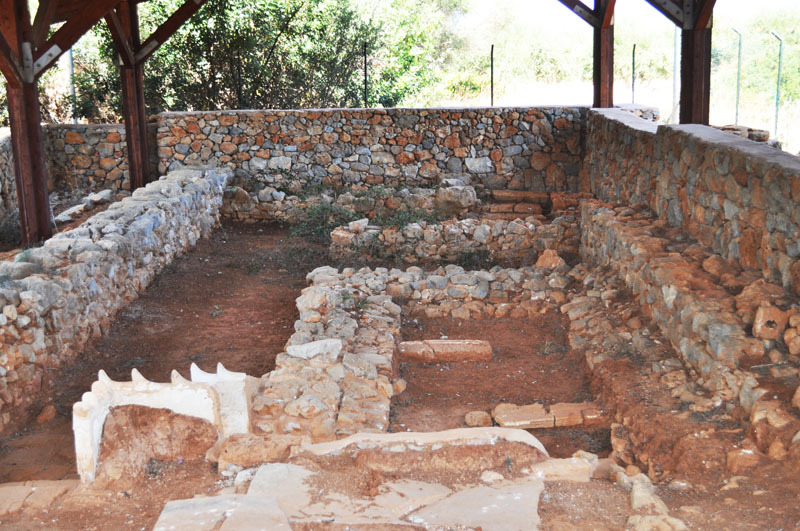 These ritual objects and the architectural decorations, suggest this building was an important part of the religious life in Malia. The location of this sanctuary along a urban route suggests it may have served as a station on a ceremonial way towards the palace, where the major rituals took place on the central and west courts. What does the construction of a town or city involve? How many different things must be considered? Water and food supplies, transportation, housing, administrative offices, religious centers, entertainment … and? 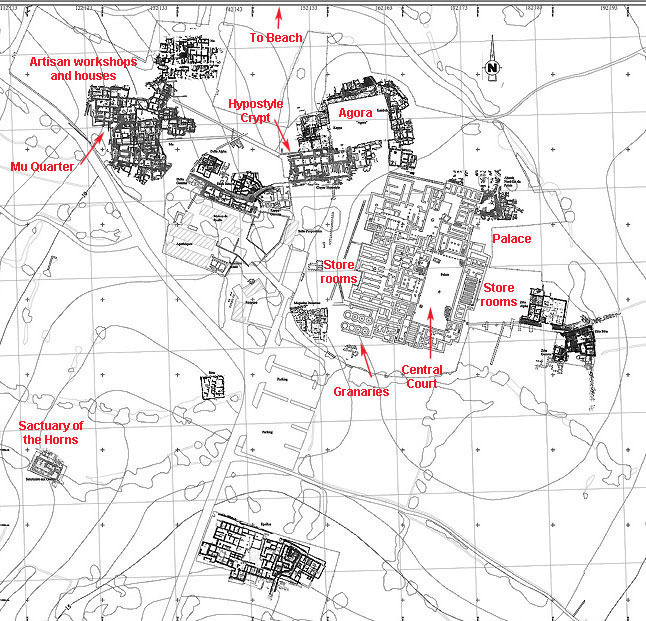 How would you design a city?